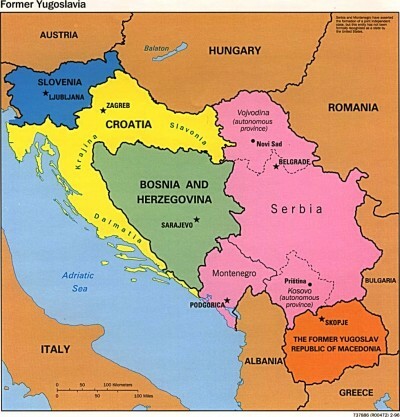 Washington’s “Destabilization Agenda”: A Hybrid War to Break the Balkans? In the spirit of the New Cold War and following on its success in snuffing out South Stream, the US has prioritized its efforts in obstructing Russia’s Balkan Stream pipeline, and for the most part, they’ve regretfully succeeded for the time being. The first challenge came from the May 2015 Color Revolution attempt in Macedonia, which thankfully was repulsed by the country’s patriotic citizenry. Next up on the destabilization agenda was the political turmoil that threatened to take hold of Greece in the run-up and aftermath of the austerity referendum, the ideabeing that if Tsipras were deposed, then Balkan Stream would be replaced with the US-friendlyEastring project. Once more, the Balkans proved resilient and the American plot was defeated, but it was the third and most directly antagonist maneuver that snipped the project in the bud and placed it on indefinite standby. The climactic action happened on 24 November when Turkey shot down a Russian anti-terrorist bomber operating over the Syrian skies, and the nascent project became a victim of the predictable chain reaction of political deterioration between both sides. Given how obvious it was that energy cooperation would be one of the casualties of simmering Russian-Turkish tensions, it stands to reason that the US purposely egged Turkey on in order to provoke this domino reaction and scuttle Balkan Stream. Be that as it may (and it surely looks convincing enough to be the case), it doesn’t mean that the project is truly canceled, as it’s more strategically accurate to describe it as temporarily shelved. Russia understandably doesn’t want to enhance the position of a state that’s proven itself to be so blatantly aggressive against it, but this feeling extends only towards the present government and in the current context. It’s certainly conceivable that a fundamental shift in Turkey’s position (however unlikely that may appear in the short-term) could lead to a détente of sorts that resurrects the Balkan Stream, but a more probable scenario would be if the disaffected masses and/or distraught military representatives overthrew the government. Both of these possibilities aren’t that improbable when one takes note of the growing resentment to Erdogan’s rule and the precarious position he’s placed the armed forces in. It’s well-known how dissatisfied a significantly growing mass of Turks have become (especially amidst an ever-growing Kurdish Insurgency), but what’s less discussed is the strategically disadvantageous situation facing the military right now. As the author wrote about in October, the Turkish forces are spread thin between their anti-Kurdish operations in the broad southeast, securing the heartland from ISIL and extreme left-wing terrorist attacks, occasional interventions in Northern Iraq, and remaining on alert along the Syrian border. This state of affairs is already almost too much for any military to handle, and one of the last things that its responsible leaders need right now is to balance against an imaginary and completely unnecessary Russian ‘threat’ cooked up by Erdogan. This pressure might prove to be too much for them, and in the interests of national security and properly fulfilling their constitutional role in safeguarding the territorial integrity of the state, they might band together in overthrowing him in spite of the systemic changes he’s enacted in the past decade to defend against such an event. There’s a very real chance that Balkan Stream will be unfrozen and the project allowed to move forward one day, as it’s too strategically important for Russia, and even Turkey, to be kept on the backburner indefinitely. It’s entirely possible that an internal political change will take place in Turkey, be it in the mindset of the current leadership or more likely with the installment of a new revolutionary/coup government, meaning that it’s much too premature for Russia or the US to give up on their respective policies towards Balkan Stream. Therefore, both Great Powers are proceeding forward with a sort of geopolitical insurance strategy, and in each case, it’s centered on China’s Balkan Silk Road. From the American perspective, the US needs to continue unabated with the destabilization of the Balkans, since even if the Russian project is successfully stopped, then it still needs to do the same thing to China’s. So long as the Balkan Silk Road continues to be built, then Russia will retain a multipolar magnet through its premier strategic partner on which it can concentrate the influence that it’s cultivated thus far. In the event that Balkan Stream is unfrozen, then Russia can immediately jump back into the mix as if it never left and rejoin strategic forces with its Chinese ally like it originally planned, and this nightmare scenario is why the US is resorting to Hybrid War in its desperate bid to destroy the Balkan Silk Road. As has already been similarly mentioned, the Russian approach is to focus more on the economic, military, and political diversifications that were supposed to accompany the energy-based physical infrastructure it was planning to build. 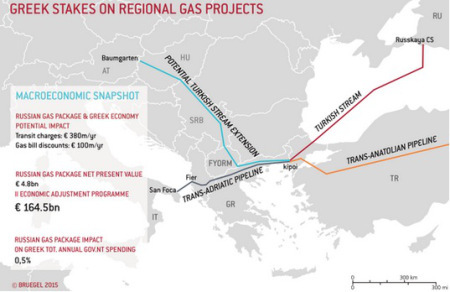 Instead of the gas pipeline forming the spine of a New Balkans, it looks as though the Balkan Silk Road high-speed rail will take this role instead, but either way, there’s a multipolar megaproject that acts as a magnet for Russian influence. In the present configuration, Russia has relatively less influence in directly deciding the course of the infrastructure’s construction, but at the same time, it becomes indispensable to China. Beijing has close to no preexisting ties with the Balkans outside of purely economic relations (and even those are relatively new), so Russia’s privileged involvement in supporting the project and investing along the Balkan Silk Road route (which was supposed to run parallel with the Balkan Stream and bring in the said investment anyhow) helps to reinforce regional and local support for it by presenting a friendly and familiar face that decision makers are already accustomed to working with. It’s not to suggest that China can’t build the project on its own or that there isn’t legitimate support in the Balkans for such an initiative, but that Russia’s front-row participation in it reassures the local elite that a civilizationally similar and ultra-influential partner is there alongside them and is also placing visibly high stakes in the process out of a show of confidence in its hopeful success. It’s thus far been established that the Russian-Chinese Strategic Partnership intended to revolutionize the European continent with an infusion of multipolar influence along the Balkan Corridor, which was supposed to support Balkan Stream and the Balkan Silk Road. Regretfully, however, the US has temporarily succeeded in putting the brakes on Balkan Stream, thus meaning that the Balkan Silk Road is the only presently viable multipolar megaproject envisioned to run through the region. On that account, it’s China, not Russia, which is carrying the torch of multipolarity through the Balkans, although Beijing is of course partially depending on Russia’s established influence there to help secure their shared geostrategic objective and assist in making it a reality. At any rate, the Balkan Silk Road is arguably more important than the Balkan Stream for the time being, and as such, it’s worthy to pay extra attention to its strategic details in order to better grasp why it represents the Balkans’ last multipolar hope. The concept for the Balkan Silk Road was a couple of years in the making, and it owes its genesis to China’s One Belt One Road (“New Silk Road”) policy of constructing worldwide connective infrastructure. This endeavor was thought up in order to solve the dual problems of creating opportunities for Chinese outbound investment and complementarily assisting geostrategic regions in their liberating quest to achieve multipolarity. Relating to the area under study, the Balkan Silk Road is the regional manifestation of this ideal, and it’s actually part of China’s broader engagement with the Central and Eastern European countries. The format for their multilateral interaction was formalized in 2012 under the first-ever China and Central and Eastern European Countries (China-CEEC) Summit in Warsaw, and the event two years later in Belgrade produced the idea for a Budapest-Belgrade-Skopje-Athens high-speed rail project (the author’s colloquial description of which is the Balkan Silk Road) aimed at deepening both sides’ economic interconnection. The 2015 Summit in Suzhou produced a medium-term agenda for 2015-2020, which among other things, proposes the creation of a joint financing firm to supply credit and investment funds for this and other projects. It also officially described the Balkan Silk Road as being the “China-Eurasia Land-Sea Express Line” and suggested that it be integrated into the New Eurasian Land Bridge Economic Corridor sometime in the future, implying that Beijing would like to see the countries cooperative more pragmatically with Russia (first and foremost in this case, Poland). Importantly, Xinhua reported that the participants agreed to complete the Budapest-Belgrade stage of the project by 2017. What all of this means is that China has accelerated its diplomatic, economic, and institutional relations with Central and Eastern Europe in the space of only a couple of years, astoundingly becoming a premier player in a region located almost half the world away from it and partially a formal component of the unipolar bloc. This can be explained solely by China’s attractive economic appeal to the CEEC that transcends all sorts of political boundaries, as well as to the complementary ambition that the East Asian supergiant has in deepening its presence worldwide. Together, these two factors combine into a formidable component of China’s grand strategy, which strives to use inescapable economic lures in leading its partners (especially those representing the unipolar world) along the path of tangible geopolitical change over a generational period. To refer back to the Balkan Silk Road, this represents Beijing’s primary vehicle in achieving its long-term strategy, and the geo-economic rationale for how this is anticipated to function will be explained in the below section. Before proceeding however, it’s relevant to recall what was referenced earlier about the US’ hegemonic imperatives, since this explains why the US is so fearful of China’s economic engagement with Europe that it plans to go as far as concocting destructive Hybrid Wars to stop it. The geo-economic justification for the Balkan Silk Road is evident, and it can be easily explained by examining the larger Central and Eastern European area that it’s envisioned to connect. The Southeastern European peninsula directly segues into each of these two regions, and the Hungarian hub of Budapest is geographically located in the center of this broad space. As it presently stands, there’s no reliable north-south corridor linking Hungary and the markets around it (namely Germany and Poland) to the Greek Mediterranean ports, thus meaning that Chinese maritime trade with these leading economies must physically circumnavigate the breadth of the entire European peninsula. The Balkan Silk Road changes all of that and cuts out days of unnecessary shipping time by bringing Central and Eastern European goods to the Greek port of Piraeus and within convenient reach of Suez-crossing Chinese vessels. This saves on time and money, thus making the route more profitable and efficient for all parties involved. In the future, the Central and Eastern European economies could ship their goods through Russia en route to China via the Eurasian Land Bridge, but while that might be beneficial from the perspective of producer-to-consumer relations, it’s hardly advantageous for resellers who plan on re-exporting the said goods elsewhere in the world. To take advantage of the dynamic economic developments currently underway in East Africa and South Asia (be it in selling to those markets or in physically building up a presence there), it’s best for either party’s entrepreneurial actors to connect with one another at a maritime node that enables them to efficiently and quickly load or offload their predetermined transshipped goods. Geo-economically speaking, there’s no better place for this than Piraeus, as it’s the closest European mainland port to the Suez Canal which needs to be traversed in order to access the aforementioned destinations, with or without any transshipping involved (i.e. if EU entrepreneurs decide to directly export their goods there and not use a Chinese middleman). In order to connect to Piraeus, the high-speed rail corridor known as the Balkan Silk Road is an infrastructural prerequisite, and its successful completion would lead to a significant sum of European trade being profitably redirected towards China and other booming non-Western locations like India and Ethiopia. The US fears losing its position as the EU’s top trading partner, knowing that the slippery strategic slope that could soon follow might lead to the rapid unraveling of its hegemonic control. Viewed from the reverse perspective, the Balkan Silk Road is the EU’s last hope for ever having a multipolar future independent of total American control, which is why it’s so geopolitically necessary for Russia and China to see the project completed. The inevitable New Cold War clash that this represents and the extraordinarily high stakes that are involved mean that the Balkans will remain one of the main flashpoints in this dangerous proxy struggle, despite the hierarchical switch of its multipolar protagonists. Andrew Korybko is the American political commentaror currently working for the Sputnik agency. This posting is a select chapter from his second book that will focus on the geopolitical application ofHybrid Wars. The chapter was updated to reflect the latest news about Turkish Stream’s apparent suspension.